Robots have already begun to have a deep impact on today’s businesses. In order to sustain and grow in the markets, companies have been looking for a high level of accuracy, speed, cost efficiency, and precision beyond the level of the human workforce. Industrial Robots have already proven they are an important part of the manufacturing sectors. 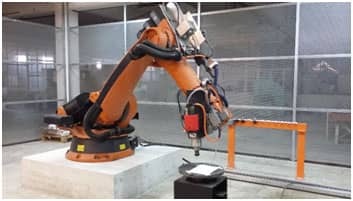 The article on RIA, The Robotmakers – Yesterday, Today and Tomorrow, traces the relationships between the world’s four major robot makers and the first industrial robot and how automation has moved from serving large multinational manufacturers and has become a flexible solution for small and medium-sized businesses. Robotic Automation is helping manufacturers and during the past several years is becoming a powerful tool in the market. Manufacturers can reach the low unit cost on production with enough flexibility to satisfy specific customer demands. Phoenix will assist you on the robot applications that best fits your needs.